This page is under construction and will be added to daily so keep coming back to find out more about the goodies, links and more I have for you all. From time to time, I will receive promotional items from Authors and Publishers. These could range from bookmarks to Autographed copies of books. If you would like to receive any of these items, be sure to contact me for additional information and to see what is currently available. You will need to submit a SASE to receive the items. Make sure to check back!!! More goodies to come. Want to promote your book(s) free of charge? Here's how you can do it! You can send me Book Flats, Bookmarks, Autographed Copies, pens, etc. It needs to be something that would fit into an envelope so no larger than a paperback please. These items will be available to anyone who sends me a SASE. If you have something you would like to submit for the Goodie section, please contact me with a list of what you would like to send and I will provide an address to you. Here is the list of author websites for all of the authors I've come to read or hope to read soon. These are their official websites where you can find out about the authors, their current and upcoming novels, their links and more. Here is the list of my favorite forums where I love to hang out with other members. Some forums are for author fans who love to discuss the authors books and more. 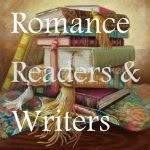 Some forums are just fun communities for romance readers and writers to get together and chat about all the things we all have in common...Romance Novels. 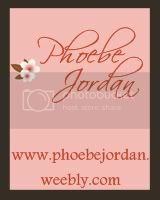 This is a list of some romance publishers both for print and electronic publishing. Some are big publishers that you may know already or small start up publishers that are on the rise for both print and electronic publishing. I have collected this list of publishers in both print and electronic hopes that when I have finally finished my first novel that I might have one of these romance publishers accept my novel and have it published.